Although I immensely enjoyed the winter season during my initial stay in Akita prefecture, I got rather unwell during the severe long winter months the past couple of years. We could hardly visit anywhere or go outside much during the winter months this year. But now that it is summer season, I feel good and energetic. So during the weekends, hubby and I often try out various kind of food at different restaurants and watch Hollywood movies in Akita City. In this post, I will chronicle our life for the past month. On the weekend of June 27th, hubby and I went for shopping at supercenter Amano in Akita City. While shopping for usual things, I came across a cardboard box containing a set of utensils and equipments for noodle making. It is very rare to find such an item, so we bought it immediately. I love making all kind of noodles like Ramen, Udon, and Soba from scratch, so this set is really useful. 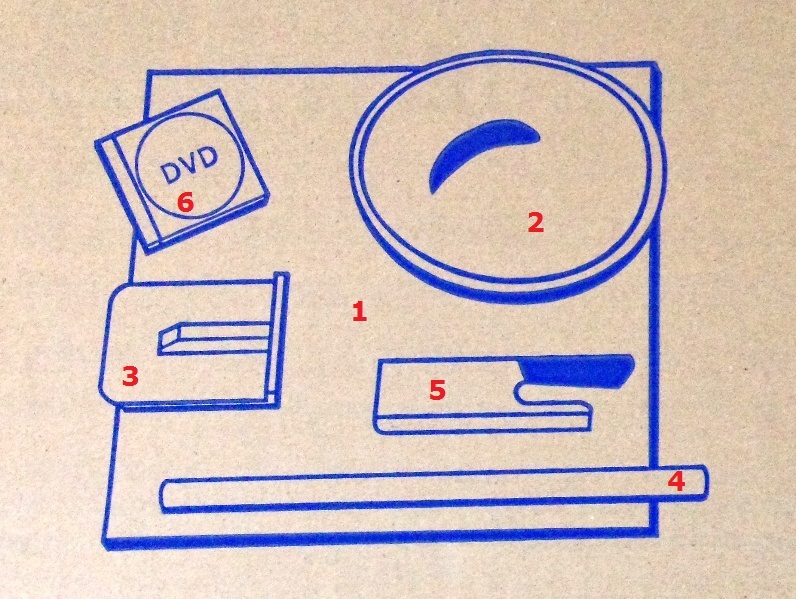 I have not yet opened the cardboard box but the box has a cute schematic diagram showing all the utensils and equipments inside. 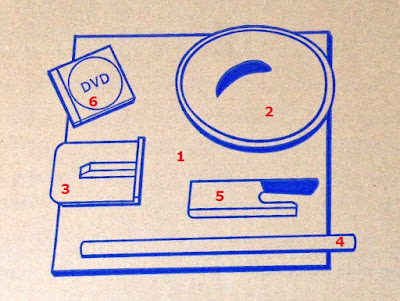 There is a dough flattening board called Noshiita, a rolling pin, a kneading bowl called Konebachi, Houcho knife, positioning and cutting tool called Komaita, and a DVD having expert commentary about how to make noodles. I am looking forward to making noodles using these utensils and equipments. At the shop, we found another very unique item, namely cooking chopsticks equipped with thermometer. Such chopsticks are very useful for controlling the temperature of the cooking oil while deep frying. Nowadays I feel that the Tempura I make is much better due to the proper temperature control of the oil. After shopping we had late lunch and then saw a movie at a theater named Toho Cinemas located at Aeon shopping mall in Akita City. We saw the Hollywood movie ‘Cobain: Montage of Heck’, which is a documentary film about the rock band Nirvana front man Kurt Cobain. Hubby is a huge fan of Nirvana band, so he was looking forward to watching the movie. We really enjoyed the movie. 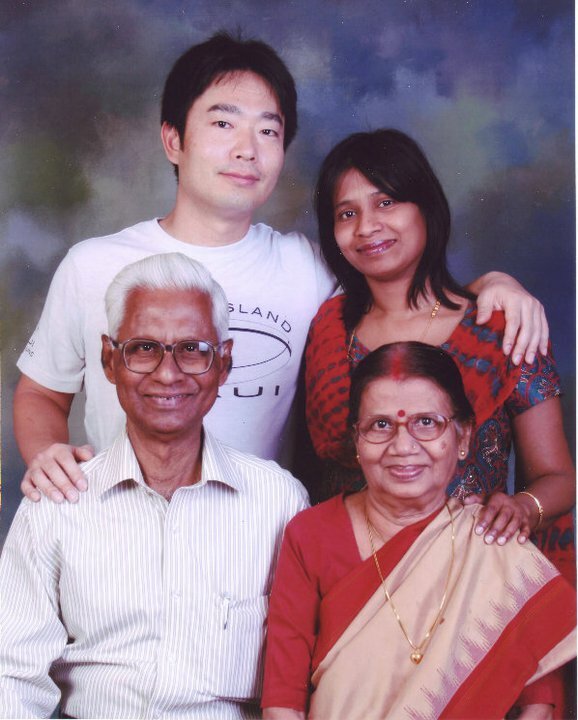 On July 4th, we went for lunch at an Indian restaurant named Lakshmi in Akita City. The restaurant serves authentic Indian food cooked by a Nepali chef and his assistants. Hubby ordered a set menu named ‘A-lunch set’ having chicken curry and Naan bread. I ordered a set menu named ‘Lakshmi Tandoori lunch set’. Hubby and I shared our food so that we could taste both the lunch sets. Chicken curry of ‘A-lunch set’ was delicious and it was fun to eat spicy hot curry. The combination of Naan and chicken curry was perfect. The dishes of ‘Lakshmi Tandoori lunch set’ were served in small bowls on a round steel main tray. On the main tray there was Naan, rice, and a piece of Tandoori chicken. Two types of liquid curries along with yogurt were served in smaller bowls. The taste of the curries was balanced with the right consistency and went fairly well with both rice and Naan. We enjoyed the flavorful and delicious food. After lunch, we went to a public golf practice driving range named Akita Greenhill in Akita City itself. Public driving ranges are very popular in Japan where golf lovers can practice their swing without worrying about the extraordinarily high golf membership fees for usual golf courses. These golf practice ranges are commonly called Uchippanashi which means ‘just hit it’. The driving ranges are big constructions that are wrapped in large green nets and often have two or more floors in order to allow a greater number of players to practice at the same time. Akita Greenhill golf practice range is relatively small in size. Hubby purchased golf balls at a big dispenser machine. He swiped an electronic money card and balls fell out of a slot in the machine, which he collected into a basket placed near the slot. He then put these balls into a small automated dispenser box near the Astroturf mat at the tee station where he practiced his shots. When he switched on a button in the small dispenser box, an arm carrying a ball came out of the box and automatically placed the ball right on the top of the golf tee that was fixed to the Astroturf matting, and then the arm retracted back into the box. After every hit, the arm came out and placed the ball exactly on the top of the tee. Hubby practiced golf shots using clubs like pitching wedge and driver shots. It was fun to watch him practice golf shots and I clicked a few photos of him in action. On July 12th, we went for lunch at a restaurant named Steak Gusto in Akita City. It is a casual family-style restaurant that specializes in beef items. The menu mostly consists of beef dishes like steak and Japanese hamburger steak, though there are a few other dishes like fish, chicken, and shrimp Tempura. Hubby ordered a main dish consisting of a combination of beef steak and hamburger steak. I ordered a main dish consisting of beef steak and shrimp Tempura. The meat was very good and juicy and the sauces were flavorful. Along with the main dish, the restaurant offers an all-you-can eat buffet style salad and side-dish bar that includes fresh salad fare, Japanese curry, freshly baked breads, white rice, soups, and fruits. All-you-can-drink beverages from a self-serve counter are also available at a reasonable additional cost. We ordered beverages too. Along with the main dish, we had a lot of salad, fruits, rice, bread, and cold drinks. We loved the food and overate. The food was really delicious. Afterwards we saw the Hollywood movie ‘Terminator Genisys’ at a theater named Lumiere Akita located in Akita City itself. Since it is a science fiction and action film, hubby enjoyed the movie very much but I dozed off for about 30 minutes or so in the beginning of the movie, so I hardly understood the rest of the movie. Afterwards hubby told me the story. We had a nice relaxed day. On July 18th, we had lunch at a food court located on the third floor of Aeon shopping mall in Akita City. After the lunch, we were supposed to see the Hollywood movie ‘Avengers: Age of Ultron’ at Toho Cinemas theater located inside the mall itself. But hubby ate too much food and dozed off at the table of the food court. By the time he woke up, the movie had already started. It was too funny a situation. So we did some shopping at the mall and returned home. July 20th is celebrated as Marine Day and is a national holiday in Japan. 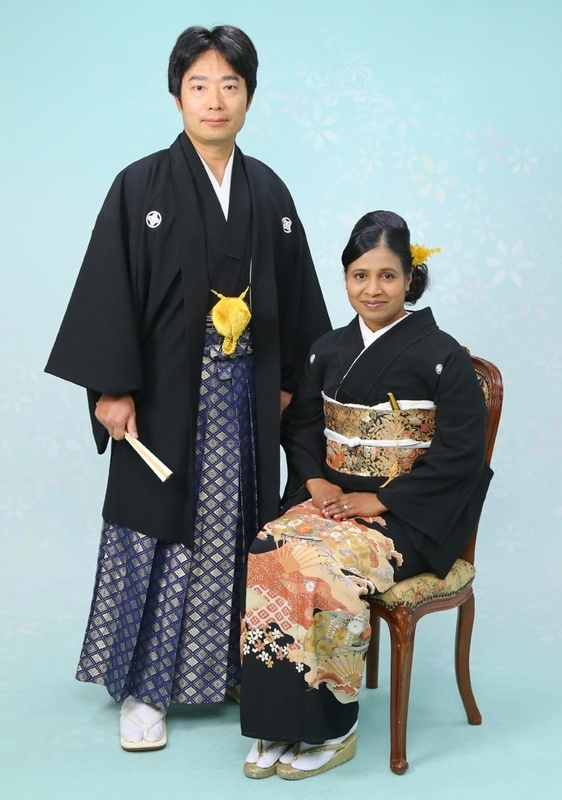 Hubby and I again went to Aeon shopping mall in Akita City. We had lunch at a Japanese style restaurant named Ohitsu Gohan Shirokujichu located on the first floor of the mall. The restaurant specializes in seafood and fish dishes. I ordered a set menu of Kaisen-don which is a bowl of rice topped with various kinds of seafood Sashimi. Hubby ordered a set menu of Maguro-don which is a bowl of rice topped with Sashimi of tuna fish. We relished the food and it was delicious. For dessert we had chocolate banana parfait. It was a perfect lunch date for us. Since it was Marine Day, we decided to visit Michikawa Beach located about 22 kilometers southwest of the mall. It took us about 30 minutes by our car to reach the beach. Michikawa Beach faces the Sea of Japan and is known for the clean fine white sand. The sandy beach was so serene, beautiful, and peaceful. We enjoyed at the beach and it was so much fun. I entered the sea for the first time in my life and it was so exciting. I will write a separate post about our visit to the beach later on. 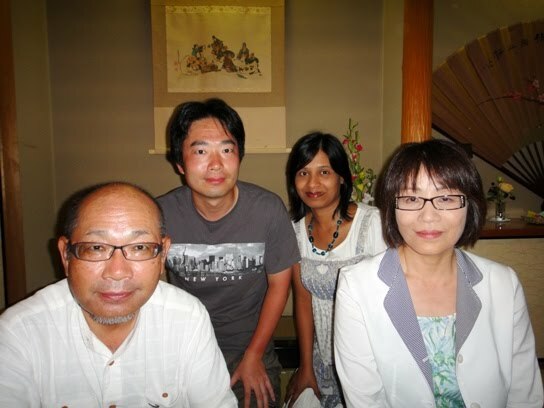 On July 26th, we had lunch at a restaurant named Cafe Restaurant Gusto in Akita City. It is a casual family-style restaurant chain and is one of the most popular restaurants in Japan. The restaurant serves western and Japanese style set meals with an emphasis on meat and steak though fish, curry, and pasta are also available. Rice or bread is served in the set menu. Side dishes like salad, soup, and dessert are available on an extra cost. In addition, all-you-can-drink beverages from a self-serve counter are also available at an additional cost. Hubby ordered a set menu of Unagi-don which is a bowl of rice topped with grilled fillets of eel fish. I ordered a set menu of rice and Thailand style chicken Massaman curry. Both our dishes were not on the regular menu but some special food fair was ongoing. We loved the food. After lunch, we again visited Michikawa Beach. I have fallen in love with the sea and the beach. It was a great way to spend the afternoon. The past month was really nice and fun-filled for us. Thanks for your comment. I often make noodles at home. But I used to use a rather small wooden base for rolling the dough. Now I am happy to have bigger utensils.....Hope you will enjoy having ramen in the ramen-shops :).